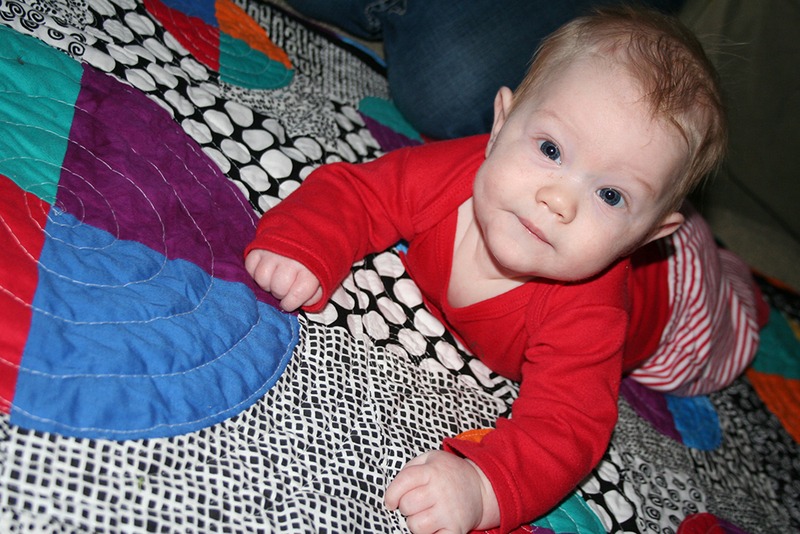 My third grandson, Evan, arrived in August, and I just completed a play quilt for him in time for Christmas. It’s about 42″x52″ and made of commercial cottons in primary and secondary solids, and black/white prints. I machine quilted it in spiral patterns with my awesome Juki TL2010-Q. The design is original and all for Evan. I wanted the color palette to be similar to the two quilts I made earlier for his older brothers, Austin and Landon. 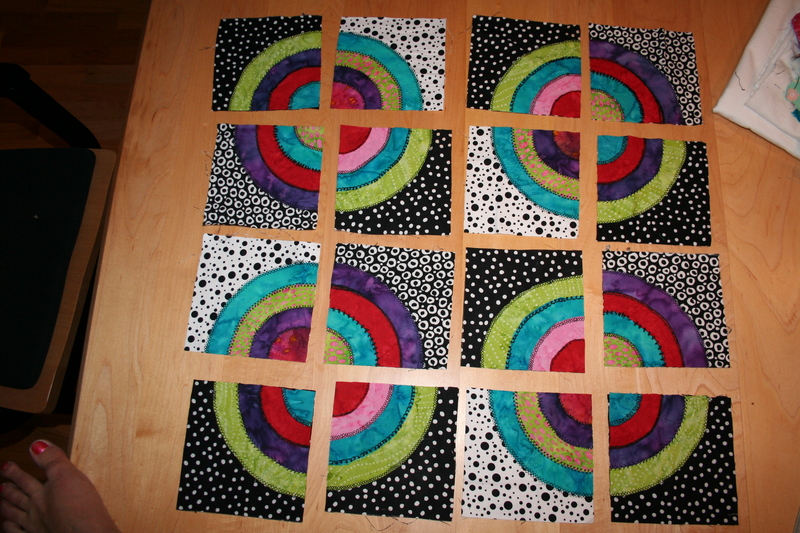 I just participated in a fun mini-quilt swap sponsored by the Great Lakes Modern Quilt Guild. Participants each received the name of another participant to make a small quilt for. We were to keep quiet about who we were creating for! To convey our preferences to our mystery partners, each of us created an online inspiration board using our guild Pinterest site. Here’s mine. I drew my friend Stephanie’s name. I was excited because Stephanie is so energetic and joyful, I knew I could have fun with my design. Her inspiration board was full of colorful ideas. When I saw the fox and hedgehog designs on her board, I knew what I had to do. I think she liked the result! Jeanine drew my name. 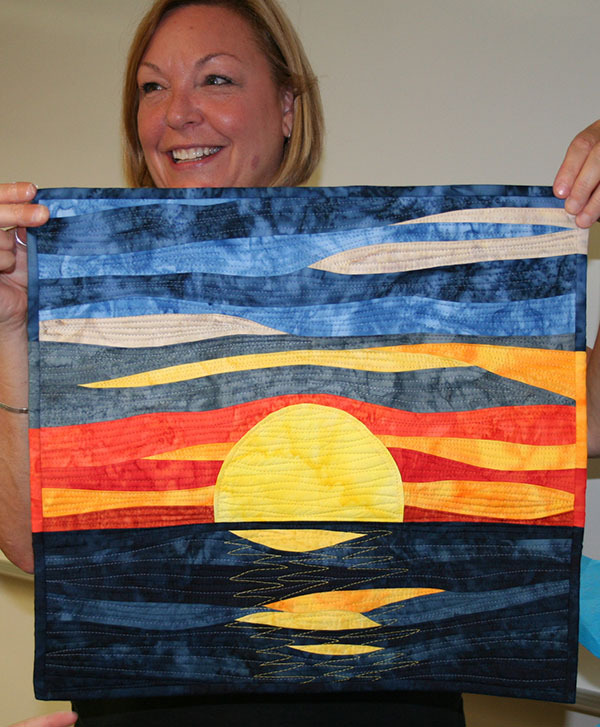 We didn’t know each other well before the swap, but she was able to pick up on my love of sunsets and bold saturated colors and made the perfect art quilt for me. She called it “Day’s End”. I will treasure it always! 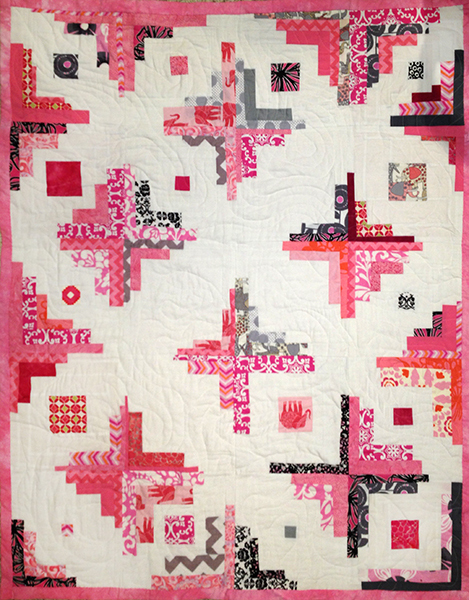 I belong to the Art Quilt small group of Kalamazoo Log Cabin Quilters. We meet monthly and work on a challenge inbetween meetings. In July 2013, it was a Circle challenge and exchange. 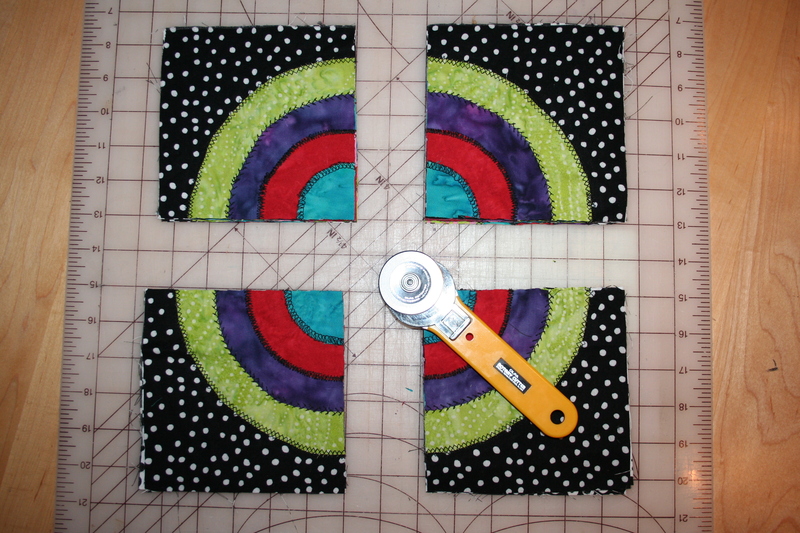 The rules wer e: for each set, to begin with a 11″ square, make four concentric circles (3″, 5″, 7″, 9″), cut your squares into quarters and ready to trade. For every square you make, you trade 3 quarters and keep one of the original quarters. 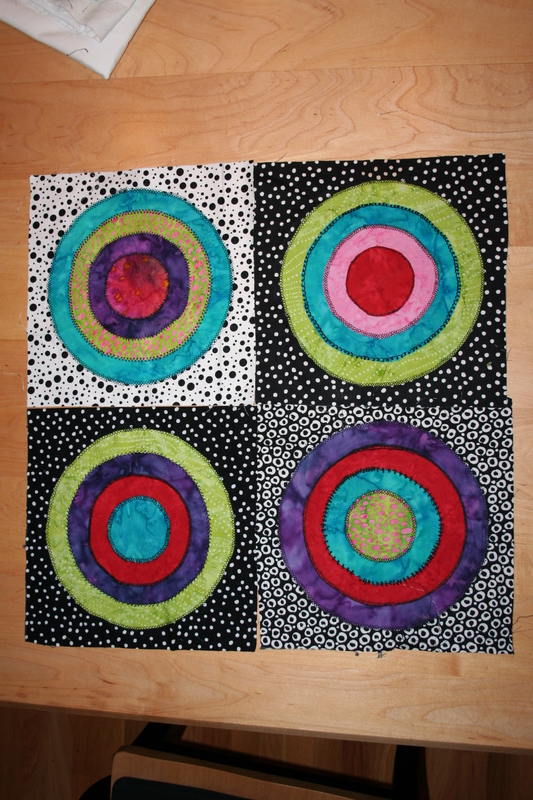 I decided to applique my circles atop one another, using decorative machine stitching.